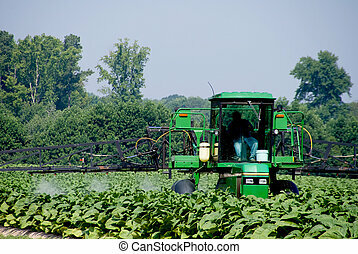 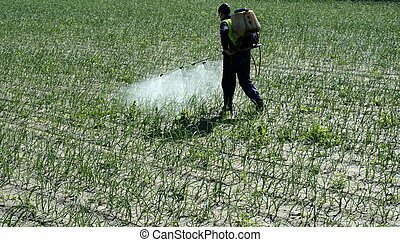 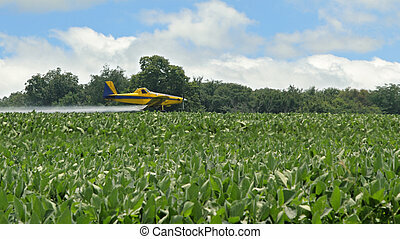 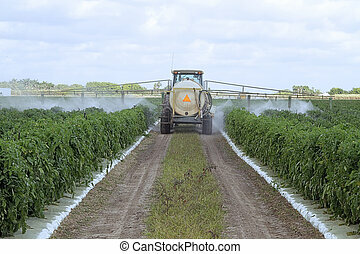 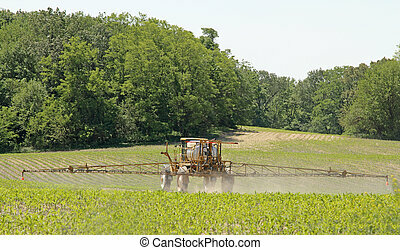 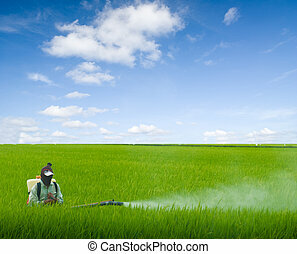 Biplane crop duster spraying a farm field. 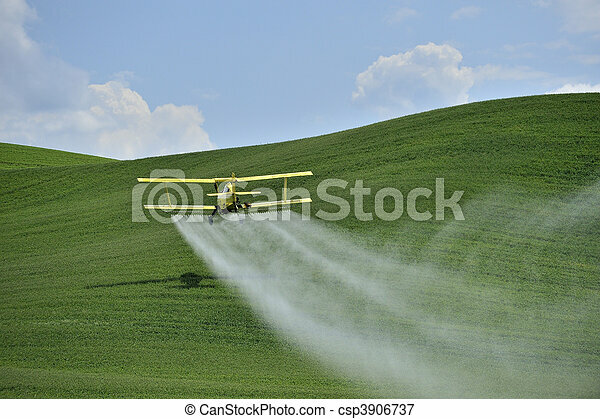 Agriculture: a low flying yellow biplane crop duster sprays a farm field in the palouse region, washington, u.s.a..
Biplane Crop Duster Spraying A Farm Field. 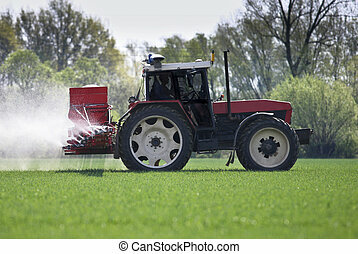 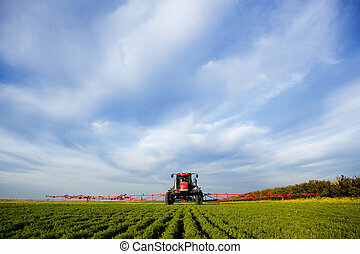 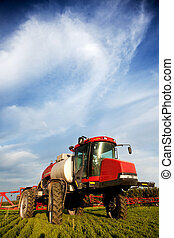 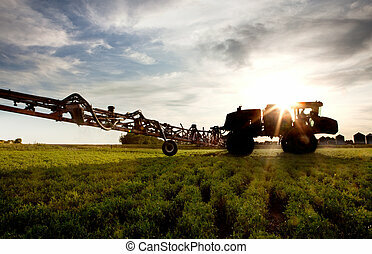 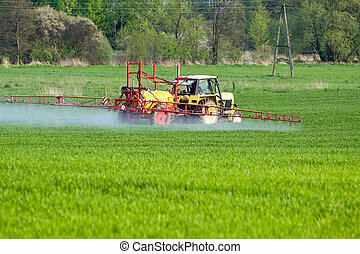 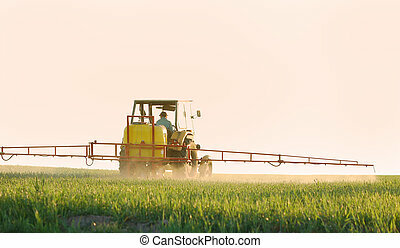 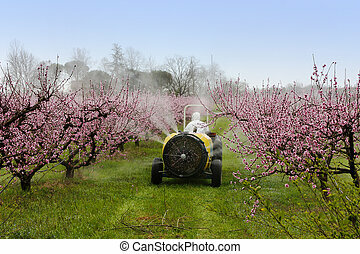 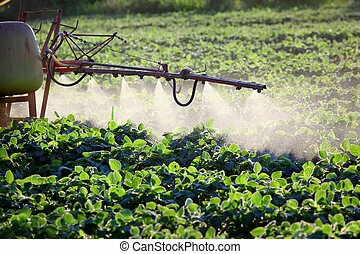 Agriculture: a low flying yellow biplane crop duster sprays a farm field in the Palouse region, Washington, U.S.A..
A large commercial crop spraying farm tractor. 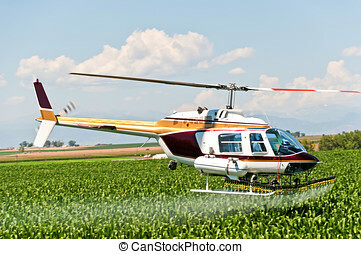 Crop duster helicopter spraying pesticide on a cornfield in central Colorado with the Rocky Mountains in the background.